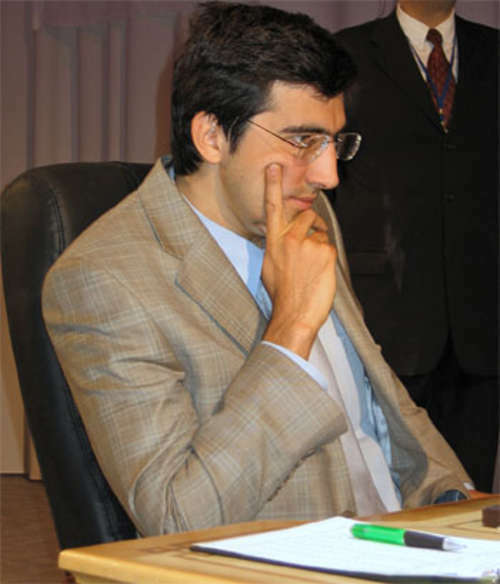 09.24.06 Vladimir Kramnik has hit the ground running. 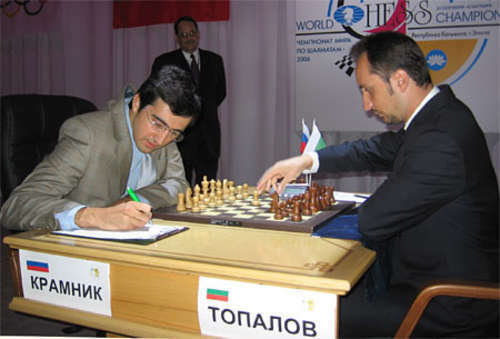 Playing the white pieces in the first round of the World Chess Championship Match in Elista, Kalmikia he let Veselin Topalov know that he was ready to play. The game was an Open Catalan that lasted six and a half hours. Rather than repeat the position and settle for a draw, Topalov pressed for a win, made a serious inaccuracy on move 57 and lost. LIVE Game Link. Watch Game 2 on Sunday, September 24 at 7:00 a.m. Eastern. See full match schedule below.